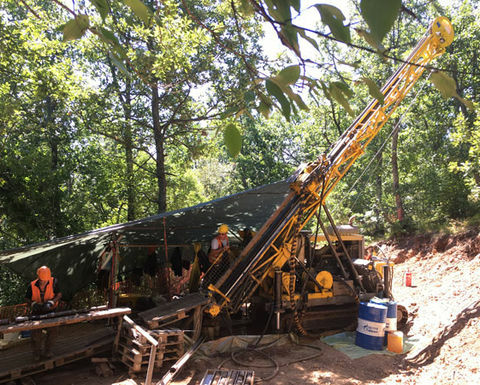 Canadian miner Atlantic Gold (TSXV:AGB) has bought a 39.2% stake in Bulgaria-focused project developer Velocity Minerals (TSXV:VLC). The C$9 million private placement gives Nova Scotia-focused Atlantic a foot in the door to participate in the promising Rosino gold project, which is on the western edge of the prolific Tethyan Belt. 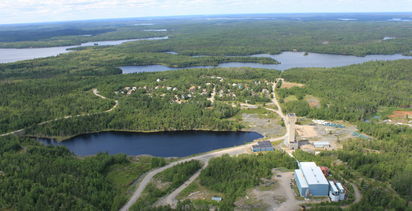 Atlantic said it "recognised" many of its flagship Moose River Consolidated (MRC) mine's key characteristics in Rosino's September preliminary economic assessment. Among key findings of the PEA was low-strip-ratio deposits with a 1.51 gram per tonne (g/t) gold grade over a six-year mine life, low initial capital cost of $97.6 million and low all-in sustaining costs of US$550-650/oz. The PEA was based on a gold price assumption of US$1,250/oz. At a steady state, annual output is expected to be 65,000oz, reaching peak annual output of 78,000oz. The project has a post-tax NPV at 5% cash-flow discount of C$129 million and an IRR of 33.1%. Velocity owns 70% of the project, with Gorubso Kardzhali owning the balance. Atlantic said it was also encouraged by the apparent simple metallurgy and conventional processing methods outlined for the project. Like MRC, Rozino has potential for multiple openpits that could produce ore for treatment through a central mill, each with resource expansion potential. This dovetails into the fact the belt remains underexplored, with little, if any modern gold exploration. 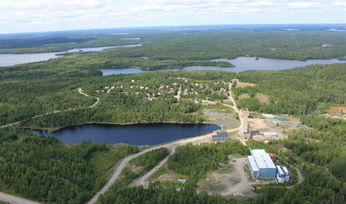 "Through our understanding of the Bulgarian mineral properties to date, Atlantic sees many of the hallmarks we recognised only four years ago in our MRC mine, which has led to its successful construction, commissioning and operation as the lowest-cost producer in the sector, with significant production growth in the near future," Atlantic CEO Steven Dean said. Dean noted Bulgaria had in recent years proved to be a go-to jurisdiction for Canadian miners, building on the country's long history of mineral extraction. Velocity also brings a significant advantage through its local partner, with which it has a toll-milling contract in place to process ore through its operating carbon-in-leach plant near the Rozino deposit. Under the private placement, Atlantic will invest C$3.9 million to acquire 18.6 million units at 21c apiece, with each unit giving it one common share and a warrant to buy another Velocity share at 25c for 36 months. The balance will be paid for by issuing $5.09 million in convertible debentures of Velocity, carrying a coupon of 8.5% over 60 months. The principal amount will be convertible at Atlantic's discretion at 25c. Velocity would use the proceeds to advance Rozino towards feasibility and permitting, including resource expansion and definition drilling, engineering studies and environmental monitoring and assessment, the company said. Under the investment accord, Atlantic will also be able to appoint one Velocity board member and Atlantic will only have 35% voting rights in Velocity, except under certain conditions when the full voting interest will be valid. 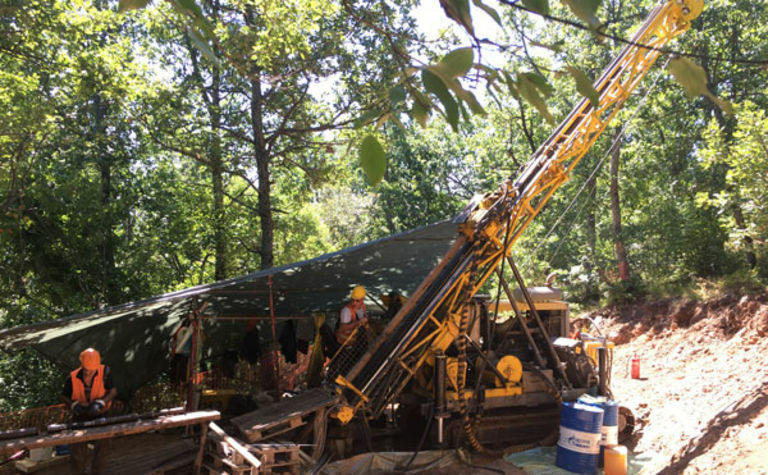 Based on 9,050m of drilling, Rozino has an inferred resource of 13 million tonnes grading 1.37g/t, using a 0.6g/t cut-off grade, holding 573,000oz. Atlantic on Wednesday reported MRC exceeded its full-year 2018 guidance at 90,531oz gold. Strong production during the December quarter of 22,509oz allowed the company to push past the 2018 guidance of 82,000-90,000oz in the first full year of MRC production. Atlantic expected to produce 92,000-98,000oz this year at higher cost, as the mine production schedule would be impacted by a scheduled mill liner change late this month, an allowance for weather events and starting the rebuilds on the mining fleet, COO Maryse Bélanger said. Atlantic traded 4.65% or 8c lower Thursday at $1.64, capitalising it at $388.39 million. Velocity jumped 30% or 5.5c to 24c, capitalising it at $15.72 million.